Dedicate your social media status updates to positive Pit Bull imagery, videos, and messages. Help generate some buzz and tear down the negative stereotypes of Pit Bulls! Use the hashtag #PitBullAwarenessMonth to get the word out and show your support! A lot of people think about volunteering at shelters and rescues but don’t actually follow through. Make this the month you sign up to volunteer or foster with your local rescue. If you can’t volunteer, donate those old pet supplies, used toys, beds, old blankets or old crates or carriers to a local rescue group or organization. Share stories and videos with children and young people about Pit Bull heroes like Stubby, sweet Pit Bulls like Sharky, amazing Pit Bulls like Ember who saved her human’s life, or Annie who nursed a litter of poodle puppies. Refrain from attempting to elevate Pit Bulls by soiling the perception of another breed–for example, comments like “Everyone knows so-and-sos are the worst biters.” When dogs of any makeup get the right training, care, and socialization, chances are they will grow up to be confident, gentle animals. There’s no gain by shifting an undeserved rep somewhere else. Beware the media! (I can say that because some of my best friends are writers and bloggers.) They love sensational stories that demonize particular types of–well, you name it… people, animals, foods, nations, etc. Outrage sells! Predispose younger generations to positive Pit Bull images and ideas by educating them on how to treat all animals with kindness and caution so that all their future interactions with all animals can be positive ones. Reach out to local politicians and let them know that you care about all animal rights and want to help educate people on the misinformation being spread in news and other media about Pit Bulls and other animals. 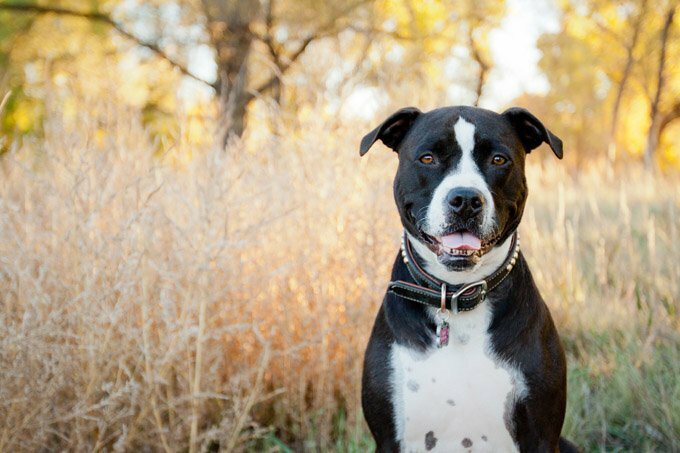 Some local governments ban Pit Bulls and other dogs they consider to be “aggressive.” If that’s the case where you live, consider starting a petition, and get your neighbors involved. We can all work together to make sure Pit Bulls are allowed and respected in communities around the world. Make an effort to avoid judging animals and humans based on their appearance and don’t be afraid to point out to others when they are judging a book by it’s cover. What you see is not always what you get. We don’t like when people judge Pit Bulls by the way they look, so let’s help promote open-mindedness by setting a good example. 1. Hug a Pit Bull! Obviously take precautions and ask the pups’ owners if they are friendly and open to hugs from strangers, but show your love to every Pit Bull you come across (keeping safety in mind). Let Pit Bull owners that you support them and think their dogs are awesome. Take extra care to do all of this during Pit Bull Awareness Month in October!